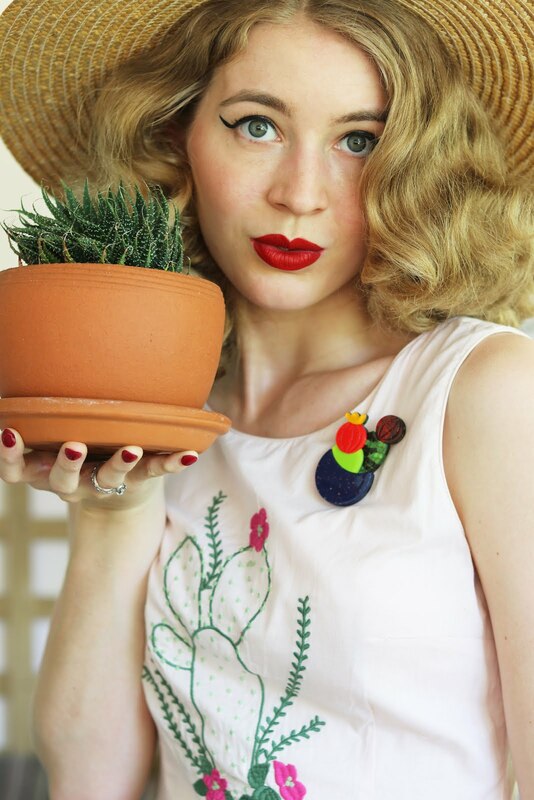 GracefullyVintage: Holly Print and the Perfect Pinafore! 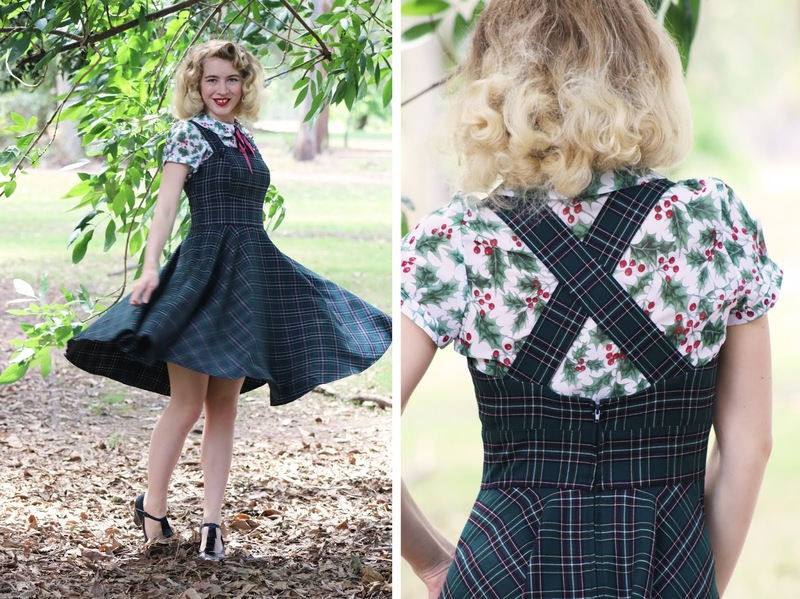 Holly Print and the Perfect Pinafore! 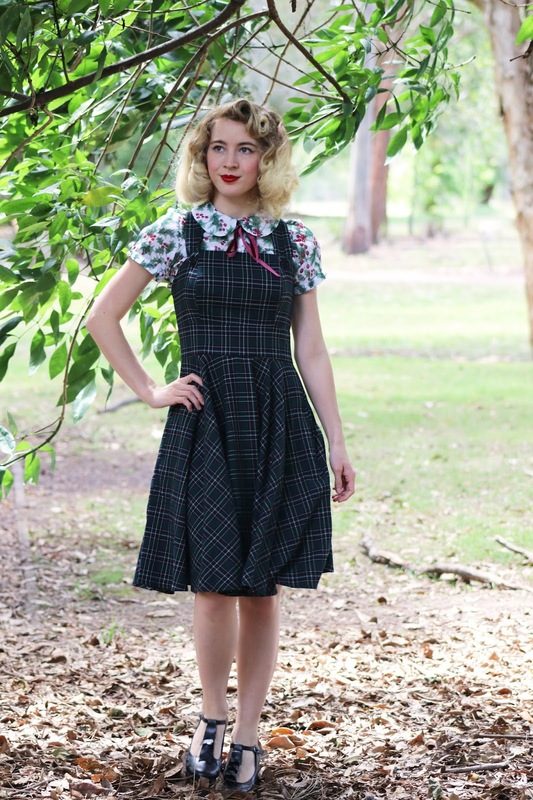 A super cute print and a pinafore, how can I resist? 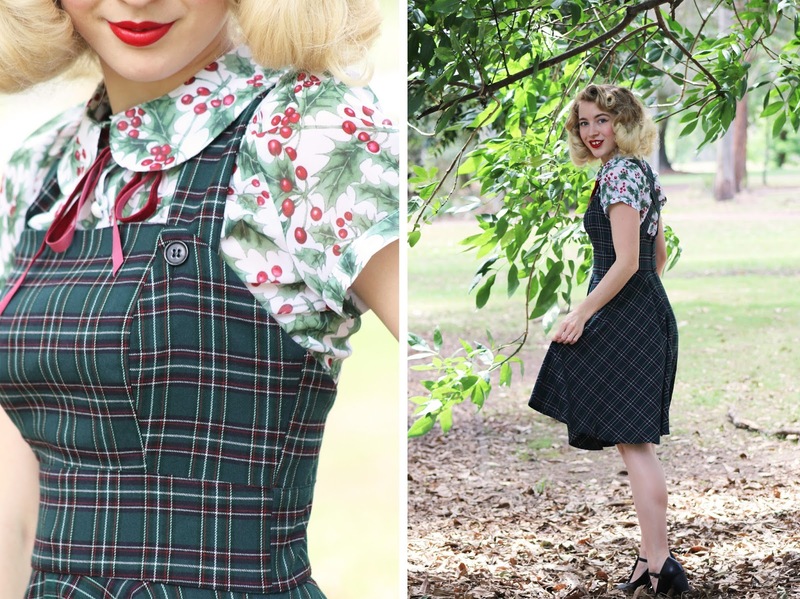 Hell Bunny always has the cutest prints and gorgeous plaid clothing so these two pieces were high on my list of things I must have this season. 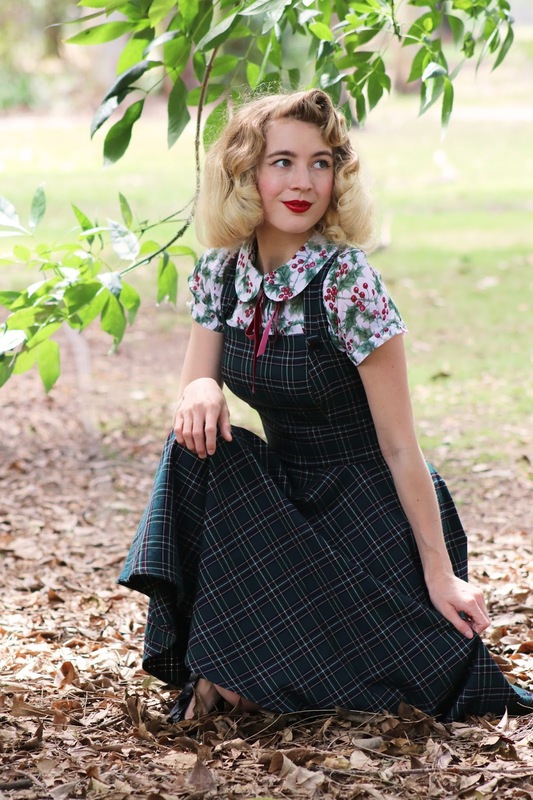 The Holly blouse is both sweet and sophisticated, this light weight blouse features a vibrant print, peter pan collar, pearl-like buttons and a velvet tie. Wear it tucked in like this, with a skirt or trousers - it will look gorgeous no matter what! Although this blouse has a real Christmas theme to it I do think that it's subtle enough to wear all year round, which I plan too! 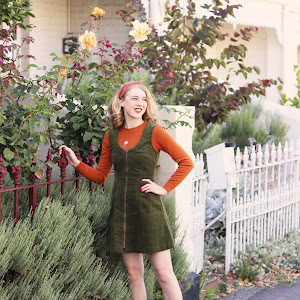 I've always loved pinafores and this Hell Bunny one is a gorgeous style and the fabric is interesting yet neutral enough to go with many different colours and tops in my wardrobe. The fabric is quite thick which is perfect for the cooler seasons and it has pockets too. I really love this staple piece and can't wait to style it in many different ways when the cool weather returns. I didn't feel the need to add anything extra to this outfit as I loved the simplicity of it and the blouse has such a great pop of colour amongst the darker plaid. I am still over the moon with Hell Bunny's latest collection, there's a lot of variety and so many interesting pieces (which they are so good at creating each season). Keep an eye out as I have another Hell Bunny look coming to the blog soon, if you missed my previous feature you can check it out here. In other news, I started sewing a dress last week after finding the perfect fabric randomly and on sale (double win) and the dress is almost finished, if I can complete it by the weekend you will hopefully see it pretty soon on the blog. Eeee!! I love it! I would totally wear this. Soooo festive. Ahhhhh man, this blouse is SO cute!! I've got it on my wishlist for winter and I don't know if I can hold back from getting the skirt they have as well! GIVE ME ALL THE CHRISTMAS AND HOLLY!